The State of Texas is highlighted in red on this map. Texas is bounded by Oklahoma on the north, and by Louisiana on the east. It is bordered by Arkansas on the northeast, by the Gulf of Mexico on the southeast, by New Mexico on the northwest, and by Mexico on the southwest. Texas is the 2nd largest state in the United States, covering a land area of 261,797 square miles (678,054 square kilometers). Texas is divided into 254 counties, many of which have Hispanic names. This Texas map site features road maps, topographical maps, and relief maps of Texas. The detailed, scrollable road map displays Texas counties, cities, and towns as well as Interstate, U.S., and Texas state highways. The pannable, scalable Texas street map can be zoomed in to show local streets and detailed imagery. to view a scalable Texas road map. The detailed Texas map and the regional Texas map display cities, roads, rivers, and lakes as well as terrain features. The detailed map shows only the State of Texas, while the regional map shows Texas and the surrounding region. Texas's capital city is Austin. Other major cities in Texas include Houston, San Antonio, Dallas, Fort Worth, El Paso, Arlington, Corpus Christi, Plano and Garland. In 2005, the population of Texas was estimated at 22,928,508, which is about 87.3 people per square mile. In 2010, Texas' population rose to 25,145,561 people. The state's major Interstate Highways include I-10, I-20, I-30, I-35, and I-45. Texas is derived from the Caddo Indian word "teysha" or "tejas", which means "friend" or "hello friend". The southeast Texas terrain consists of Gulf Coast barrier islands and cypress swamps, gradually rising to a coastal plain. The cliffs along the Balcones Escarpment in central Texas mark the eastern edge of the Texas hill country, which gradually merges into prairie country in northern and western Texas. Popular visitor attractions include Big Bend National Park, Padre Island National Seashore, and Johnson Space Center in Houston. For Texas travel and tourism information, visit the official Texas tourism site and Texas Atlas. This Texas reference map shows major cities, roads, railroads, and physical features in Texas. 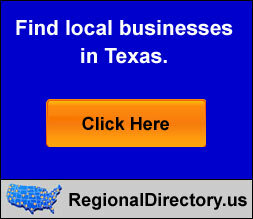 Several map publishing companies offer printed maps of Texas. For example, Omni Resources offers several maps of Texas that feature points of interest, airports, and parks, as well as selected local attractions and insets of major Texas cities. Certain maps hereon are © Map Resources or Digital Wisdom. Texas-Map.org Editor, State Maps, PO Box 775, Barnegat, NJ 08005.